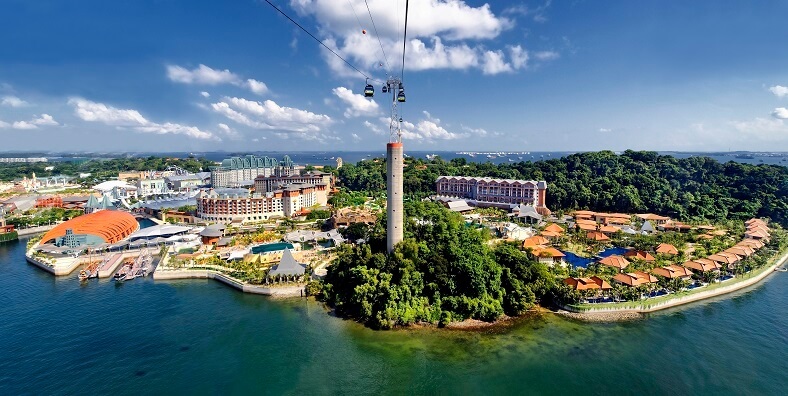 Sentosa is a wonderful island located on the southern coast of Singapore. It has been known worldwide since it is famous for three beaches including Palawan Beach, Siloso Beach and Tanjong Beach. If you are truly interested in traveling, don’t pass up this opportunity to be on these beaches. Palawan Beach is located at Sentosa Island Singapore 099981 (in the Singapore, every building is given its unique postcode consisting of six digits to show where the location is exactly). It is an artificial place where a peaceful atmosphere and awesome sea shore prevail. Owing white sand, palm trees and hilarious bars, the beach makes you have the delightful time. Visitors especially children should also come and enjoy the free attractive animal shows at Palawan Amphitheatre. The shows are organized at 12:00 pm, 12: 30 pm, 2:00 pm, 3:00 pm, 3:30 pm, 4:30 pm and 5:00 pm. Some restaurants are established for serving Chinese, Indian and Western food. 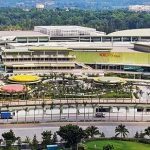 Tourists also get a chance to enjoy food court in the beautiful land. The food court is set along the beach and supplies cheapest delicious meals for the tourists. You will be able to visit beach bars and don’t forget to pay about 75$/person. Palawan Beach is also outstanding because of its Suspension Bridge joining Palawan Beach to the Southernmost Point of Continental Asia. This is a man-made suspension bridge filling with towers. The Bridge offers a viewing deck overlooking the ocean. Certainly, the perfect destination will make your own first date. However, your carefulness is required to keep your safety because of its shakiness. Siloso Beach is one of the most wonderful destinations in Sentosa and located on the south-western coast of Sentosa at 51 Imbiah Walk Sentosa Singapore 099538. The beach is widely known for the hosting place of sporty activities such as volleyball, football, and exciting others. You can also take part in skim boarding or kayaking, as well as cycling, rollerblading. 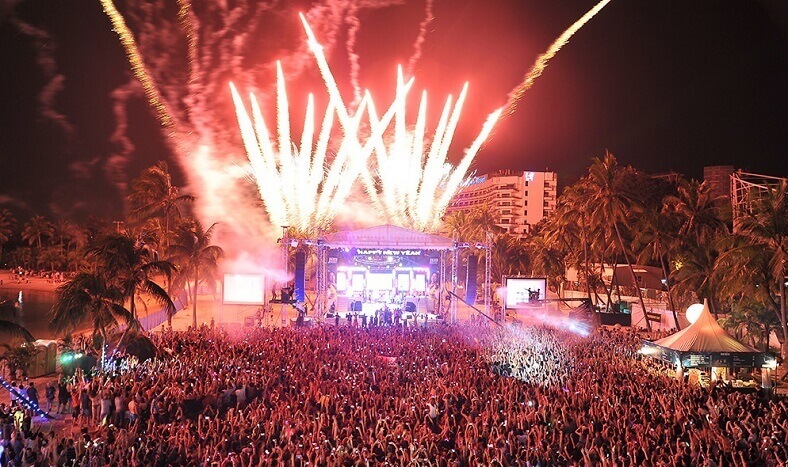 At night, it becomes a gorgeous place with music, bars, and beach parties. Location: 120 Tanjong Beach Walk Sentosa Island Singapore 098942. Tanjong Beach is the quietest place in the three beaches on the Sentosa. This is the perfect choice for those who enjoy swimming and sun-tanning. During the night, the Beach seems more charming with lights in the waters. 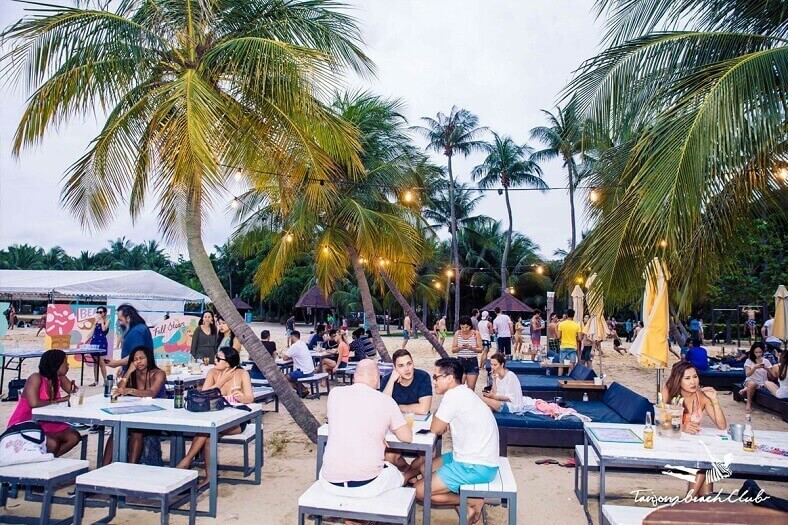 Tanjong Beach is also famous for Tanjong Beach Club hold twice a month at night. Getting out the noisy city and enjoying a full day of sun, sand, and sea in the club must surely be in your to-do-list. This bar offers dazzling experiences such as swimming, sun-loungers, and drinks that are necessary ingredients to make your own day! 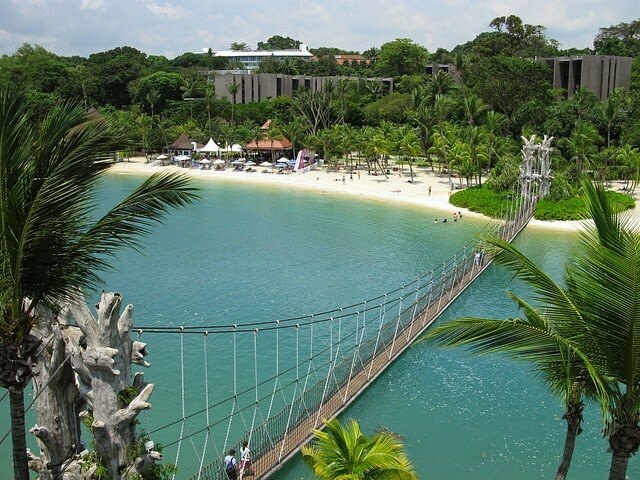 Certainly, Sentosa beaches will make your trip fantastic. However, you should pay attention to following issues in order to make your awesome day. 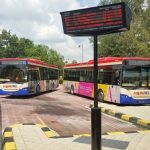 Be concerned with the weather of Singapore since hurricanes usually appear here. Wi-Fi: available in the city. The above information needs to be noted in order to deal with unusual situations. Sentosa beaches are truly the marvelous parts to chill out. All attractions are given and left only one thing in common: fun, and lots of it! Come and enjoy your relaxing moment here!